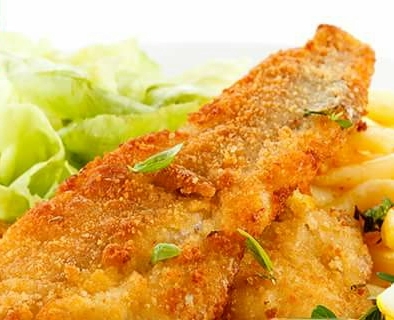 Master your filleting technique, then enjoy a mouth-watering Crispy Pan Fried Fish with your family. Coat the fish with the garlic, black pepper, and Royco Chicken Flavor Mchuzi Mix, and leave to marinate for ten minutes in the fridge. Coat with the whisked egg and breadcrumbs. Pan fry for four minutes on both sides until well done. Serve with buttered vegetables and French fries on the side.